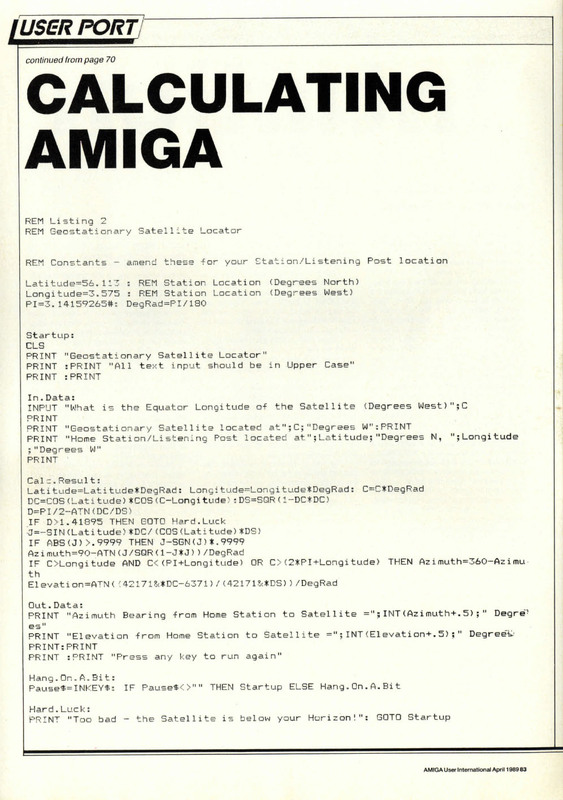 I did dabble in programming the Amiga, as I did with all my computers, mainly in BASIC – for those youngsters amongst you who have never come across this (! ), it was once the default language for home computers, the Beginners All-purpose Symbolic Instruction Code. 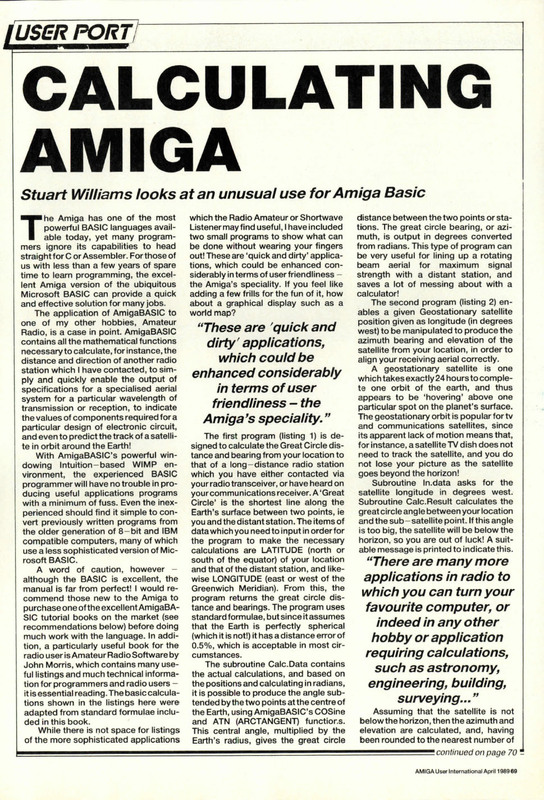 Early on, in my CP/M days, I also tried PASCAL and COBOL running on Amstrad computers, and Amstrad BASIC, plus of course BBC BASIC on my BBC Micro Model B.
I didn’t write all that much about programming for magazines, but ‘Calculating Amiga’, published in the March 1989 issue of Amiga User International, was an exception. 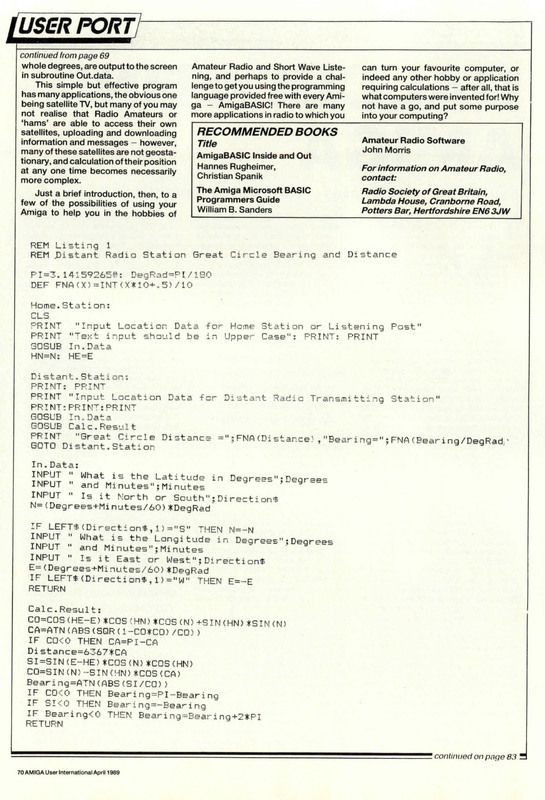 It had a double interest for me, as it included two simple applications in AmigaBASIC for use in amateur radio – a theme you’ll often find elsewhere in my articles, see the Ham Radio menu above for more!